Hi everyone, so it’s been a while huh? Life is always hectic this time of year because of the many things I am currently juggling but I did manage to film my top Fall 2013 nail polish picks so if you want to see that video you can do so by clicking HERE! One of the polishes I mentioned in that video is featured in this blog post and I think it’s personally my favourite Fall polish this year!! 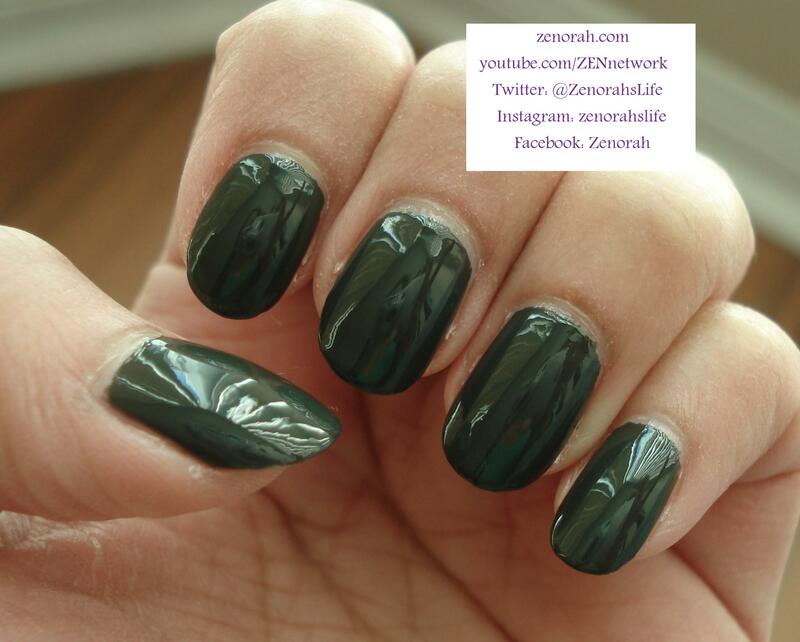 Zoya ‘Noot’ – is a smokey, dusty forest green with grey undertones creme polish and was originally released in Zoya Fall 2011 Smoke and Mirrors collection. I am kicking myself I didn’t pick up this polish sooner because it is unique to my collection and it is the perfect “goes with anything” Fall polish. I absolutely adore the formula of this polish, it had the beautiful buttery creamy formula I love so much from Zoya and as you can see it has a pretty decent high shine without a top coat. You could honestly get away with one good coat of polish but I have OCD with my nail polishes so I always wear two coats of polish which is the case for the swatches you are viewing. The colour is very chic, sophisticated, elegant, sultry, mysterious and trendy all at the same time. 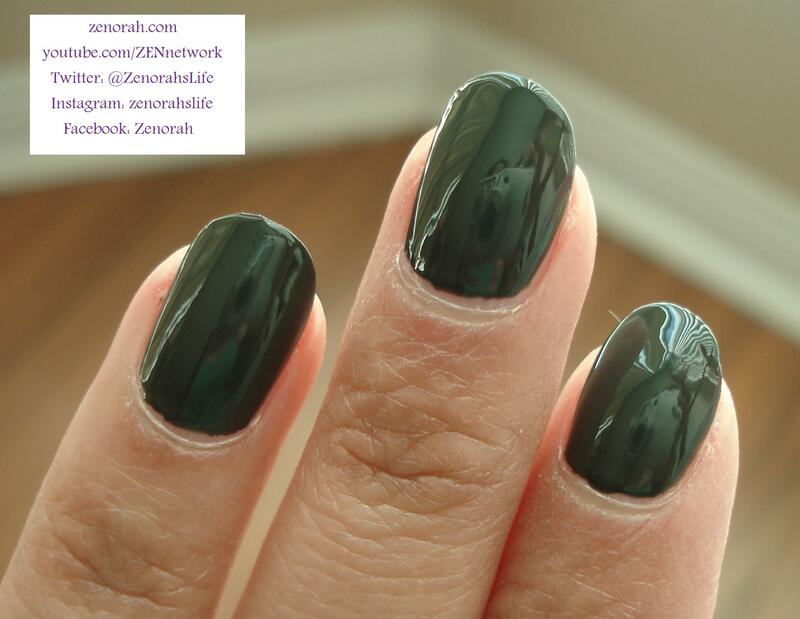 I am very certain you will not own a dupe to this in your nail polish collection and if you are a green nail polish lover I would say this a good Fall staple for you. I have wore this polish twice thus far and I can’t get enough of it!! 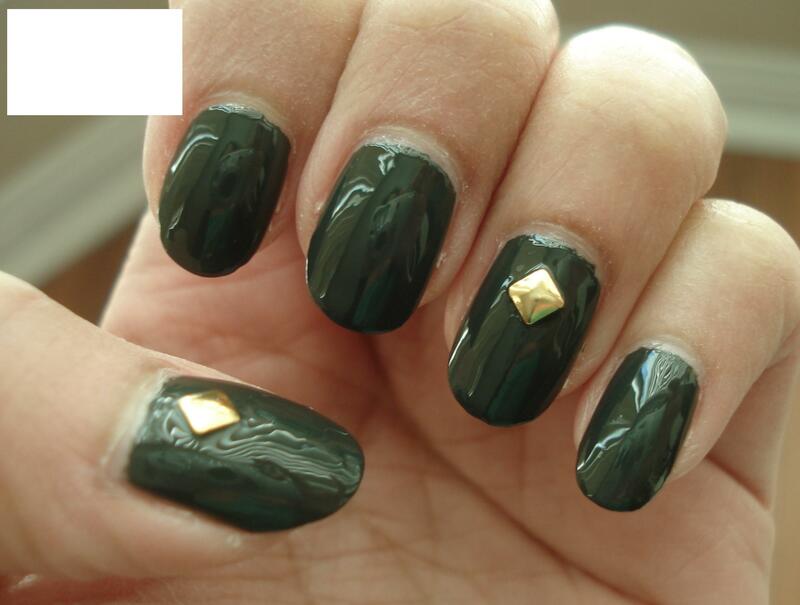 I wanted to jazz it up a bit, so I decided to place some nail studs on my thumb and ring finger (which were sent to me for review from BornPrettyStore.com). 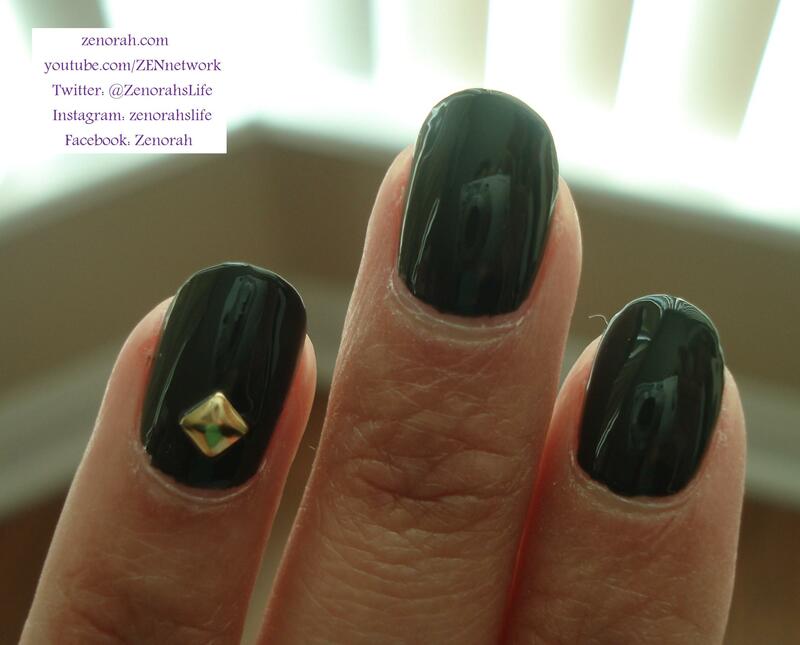 I absolutely ADORE this manicure and it’s one ladies of all ages can wear and have it be a stand-out manicure – I personally love wearing it out at night because it adds a bit more drama than just a simple creme polish. I would say PICK THIS POLISH UP on your next Zoya purchase, it’s the dusty green, army, smokey khaki version of the famous taupe shade, OPI You Don’t Know Jacques. 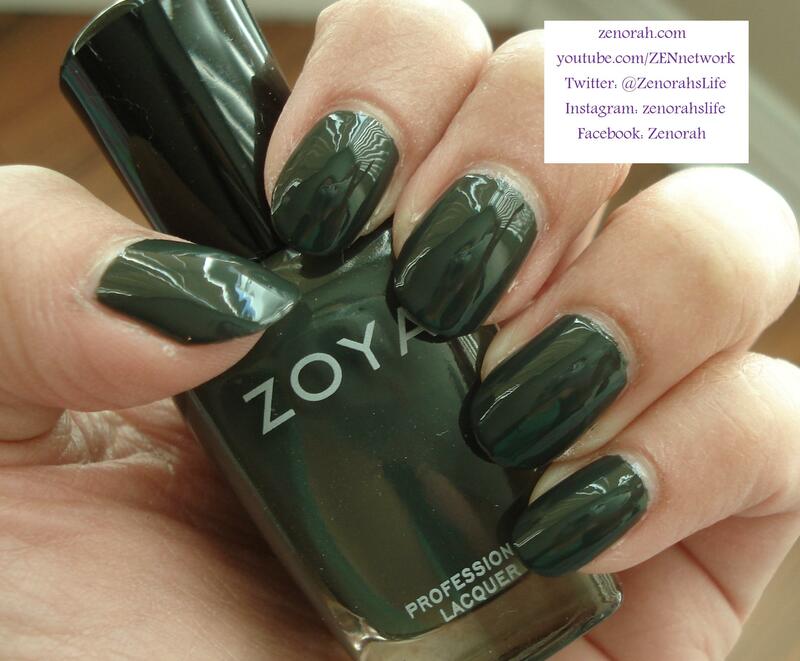 Do you own Zoya ‘Noot’ ? What are your thoughts on this nail polish?